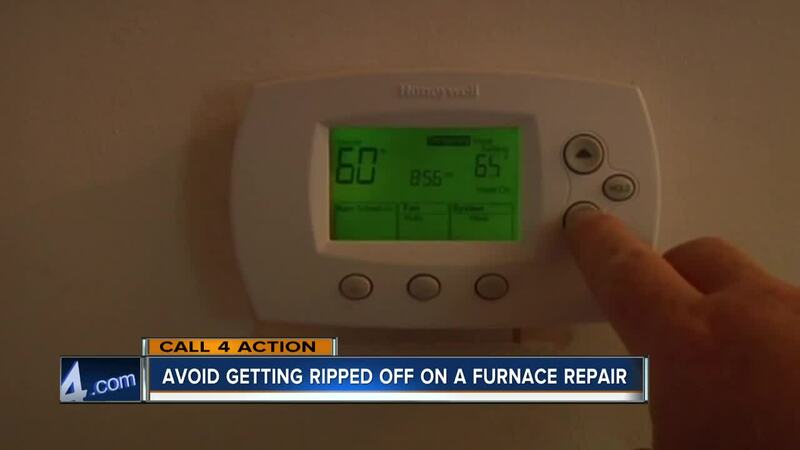 In order to avoid getting ripped off in a furnace repair, make sure to check in with the Better Business Bureau and stay with local and well known contractors. Make sure to ask questions about how they charge for the types of service that they offer. MILWAUKEE -- When the weather gets cold and your furnace goes out, you may be tempted to hire the first contractor who can get there the fastest to get your heat back on. Although there are some good contractors who provide great service at a fair price, there are also some who take advantage of people who are unfamiliar with furnaces and are in desperate need of help. Before you request service, check out the reputation of the contractor with the Better Business Bureau or other trusted sources. Stick with local contractors that are licensed, experienced, and certified to work on your brand and type of furnace. Ask questions about how they charge for services and the cost of a service call. If possible, check with more than one contractor to compare cost and types of service they offer. Although most contractors provide an accurate diagnosis of a furnace problem, you may want to watch out for high pressure sales tactics like the need to replace a furnace or expensive part on the spot, especially if they seem to discourage you from getting a second opinion. If the technician does not thoroughly explain the problem, seems vague in answering questions, or you have doubts, call another contractor. They may be able to provide alternatives or an estimate of what you should expect to pay by phone. If you decide to proceed with a repair, get a detailed estimate and warranties in writing. Ask the technician to leave the old parts. And, do not pay in full until the job has been is done to your complete satisfaction. If possible, pay with a credit card. If you run into a problem that you cannot get resolved with the contractor, you can always contact our Call 4 Action office for assistance.